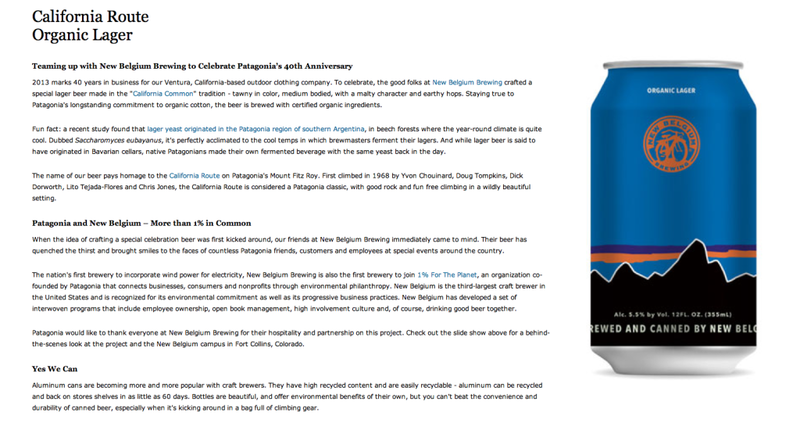 Patagonia celebrating it’s 40 Anniversary teamed up with New Belgium Brewery (Fat Tire) and created a beer I think I need to try and type up a review. Stay tuned for more as I hunt this holiday season for this tasty brew. Click here to go to Patagonia’s site to learn more.